•	Mr Criddle studied for his Bachelor degree in Electrical Engineering at the University of Durham and then afterwards a Masters degree in Automotive Engineering from the University of Hertfordshire. •	He joined Ford Motor Company in 1992 as a graduate engineer holding various roles within the Powertrain organisation until 2000 when he joined the newly-created Visteon. •	During an 8 year career at Visteon Mr Criddle work on Powertrain control systems, engine modelling, air induction systems & advanced technology development, it was during this period that the first electric supercharger development began. •	In 2008 the electric supercharger technology was acquired by Controlled Power Technologies (a "Green Technology" start-up) and Mr Criddle joined CPT in a Senior Management role. CPT developed and promoted the technology until it was acquired by Valeo in Dec 2011. 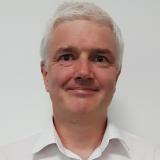 •	Since joining Valeo Mr Criddle has worked in the Air Charging Product Line as R&D Director for 5 years and most recently as Business Development Director. Check out the incredible speaker line-up to see who will be joining Mark .